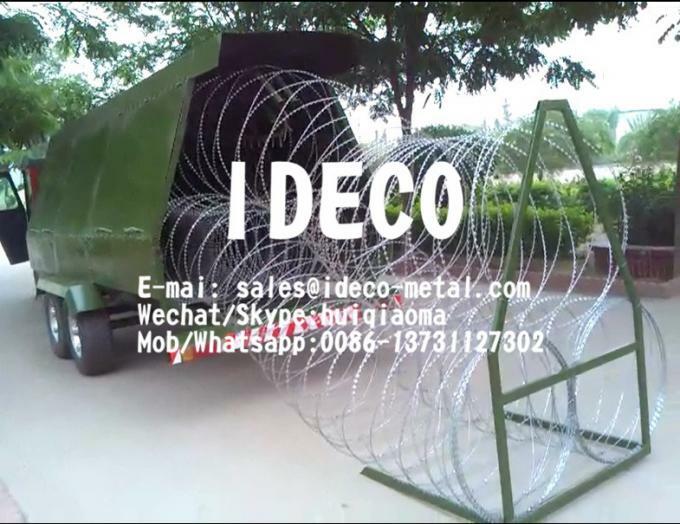 Rapid Deployment Razor Ribbon/Concertina Wire system is designed to provide rapid security fence protection; 75-1000 metre barriers of barbed tape concertina/razar coils can be deployed at incredible speed (300 metres in 20 seconds). The current manually deployed wire is difficult to recover and is thus scrapped when no long needed. With the Rapid Barrier System, the security fence wire can be recovered safely and neatly. Utilizing the Rapid Barrier System significantly reduces both man hours and manpower needed to dispense and recover Razar wire barriers. Applications: Base camps, no-go areas, embassies, court rooms, military stop lines, streets, buildings, etc. 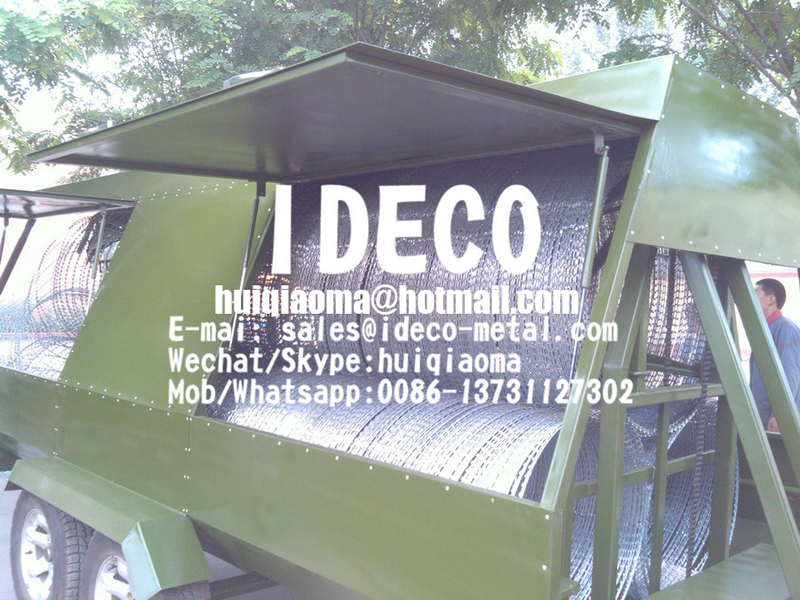 Barriers may either be manually or mechanically recovered for re-use. The same barriers have been deployed and recovered over 100 times. Equipment is supplied to uplift and re-compress the barrier into modules, simple to handle and compact to store. A single carrier unit can be quickly refilled to drop many kilometres of security fence barrier in a short space of time. Systems can be tailored to meet customers exact requirements. No police or military organisations can afford to be without this valuable tool, which substantially increases the effectiveness of forces on the ground, by providing a rapidly deployed security fence solution.